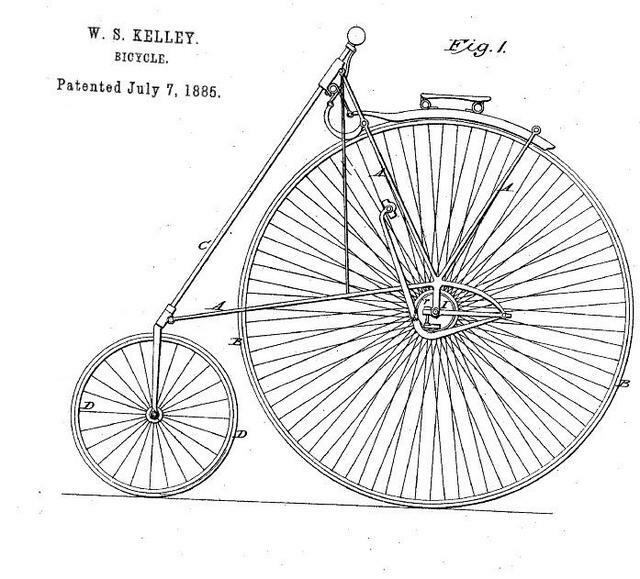 In the era when alternatives were being tried to the "ordinary" bicycle, many new configurations were tried. One was that made by the Star Company, of H. B. Smith. In this design, the small wheel was in front, with the intent of reducing the number of headers that riders suffered. The Star Bicycle was used by Lucius D. Copeland as a frame for his steam engine. I´m sorry, but i don't understand the "headers" and the solution proposed by this model. Is there any chance that you can explain it a little bit more? Thanks in advance, have a nice day. Header, as in going head over heels, or head first over the front of the bike, leading with your head.